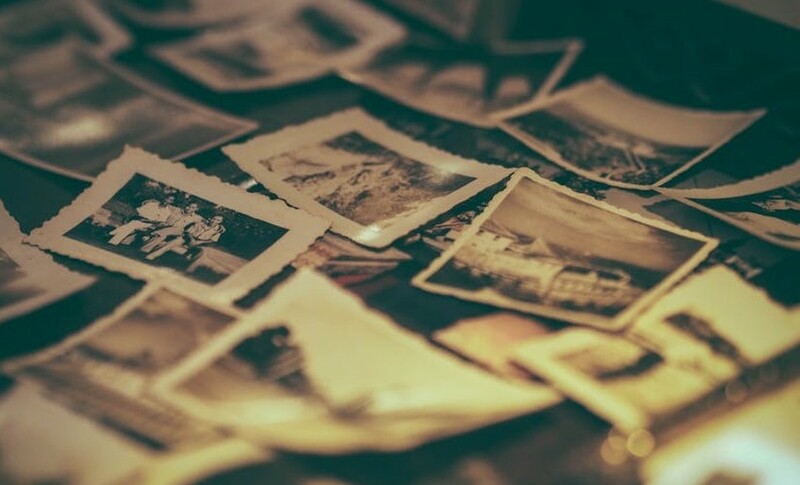 How to store photos, especially when you have a lot of them can be tricky. Scrapbooking them is the answer of course. Anybody can scrapbook, even if you don’t have an artistic bone in your body. Click here to find out how to get started with scrapbooking. It is often quite overwhelming when you have a bunch of photos of the same event. Here are some ideas on how to store photos within your layout without doing too many layouts or taking up too many pages in a photo album. I have discovered the joy of using mini booklets or flaps within my scrapbooking pages so that I can solve the problem of how to store photos. Mini booklets or flaps within my layouts make reading the scrapbook a lot more interesting as some pages have flat layouts, others have pullouts and others have pages within pages for them to browse through. Now the next problem is how to make the whole experience user-friendly, so the reader doesn’t have to pull the whole layout out of the plastic sleeve in order to see the photographs underneath. This constant ‘pulling out and putting back in’ will make your album untidy and vulnerable to damage, and your layouts will eventually tear or break if the layout is pulled out often enough. It makes sense to make special pages to bind between the plastic sleeves to protect your layouts and in this way, you can also add variety to your album. Using vellum works well here, as you can buy it in so many themes, designs and patterns. For instance, if you did a country-themed layout, just get vellum with a leafy design or grass design to lay over the page for an attractive introduction to the layout. In this way, you won’t need to put your layout in a plastic sleeve but can attach it to the extra pages you can make in the following way. Start by taking one of the plastic sleeves or an existing page out of your album to use as a template. 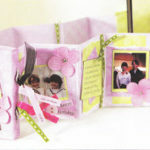 Trace your template, including the punched holes in the spine onto some scrapbooking card. Now you can stick the layout onto the card once you have punched the holes into it and placed it in your album. This will strengthen the layout and give it some support. Next, do the same with the paper that you will be using as a page divider. 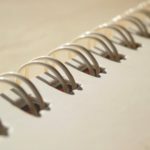 For a stronger spine, add an extra 2cm onto the width of the page, then using a bone folder, score lines 2cm and 4cm from the inside short edge and fold the paper to the front along both scored lines. Next, open the folds out, and then refold the first line and burnish it with the side of the bone folder to crease it firmly. This doubles up the spine of the page thus making it stronger. This will also make the vellum easier to turn the page so you can see the layout underneath. Measure out your spacing holes in your album, and then use a leather punch to punch out your holes at the marked points. You could also just trace the holes from your template page. If you need some extra protection for your page, cut a narrow strip of cardboard and punch holes into it that correspond to the holes in your album. You can then place this cardboard strip between your layout and your page to create extra space between your pages for thicker layouts. If you want to include another interleaf, cut a 32.5 x 30.5cm piece of vellum or tracing paper and slip it underneath the folded section of the page after punching corresponding holes into it. Now you won’t need to store the layout in your plastic sleeve anymore, which makes for easier reading, especially if the layout has a booklet or mini flaps. The other option on how to store photos, of course, is to simply cut the plastic in strategic places so that it flaps open as necessary. While your layout is in the plastic, simply draw dots with a marker where you want the corners to be. Take the layout out of the plastic and slide a cutting mat into the plastic to stop you from cutting right through onto the other side of the plastic. Now take your mini punch and punch small holes in the corners. This will stop the plastic from tearing. Now simply take your craft knife and a metal ruler and slice from dot to dot or hole to hole creating a flap that can be opened up to let people read the booklet or lift a flap to see what is underneath. Leave one side of the flap attached, so it still protects your top photo. 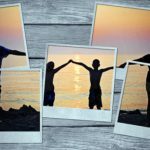 I hope I have given you some ideas on how to store photos within your scrapbooking layouts in this article.